« #13 Acronyms, What are your favorites? The Office is a TV sitcom documenting the exciting, drama-filled lives of office employees in Scranton, Pennsylvania. The Office showcases a paper sales company with a clueless boss, Michael Scott. In order to keep the show entertaining, accounting treatment is rarely discussed and the accountants (Angela, Kevin, and Oscar) are often targets of the plot. You will find The Office among the most recorded programs on an accountant’s Tivo (or DVR). This is so that after working a long day, accountants can come home and watch TV at odd hours of the night. If you’ve ever been around accountants during Halloween, you already know that The Office is a popular costume choice. The Office not only sets an excellent example for office behavior; it is easily relatable for accountants. Awkward situations, coworker pranks, and inappropriate conversations all remind them of what it feels like everyday to show up to work. If you ever need to engage an accountant in some small talk, you should talk about The Office. This cannot go wrong since this will allow them to either 1.) incessantly quote their favorite scenes or 2.) confess a desire to watch the latest episode. In either situation, your accountant friend will see that you have amazing taste and respect you. 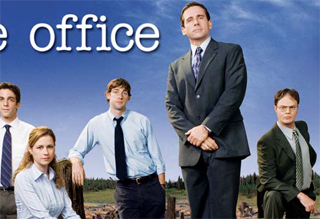 A popular show gag of The Office is to shout “That’s what she said!” after something vaguely inappropriate has been said. Although SAL tried to sneak this joke into this post, it just would not fit anywhere even though we tried so many different positions. so many different positions? that’s what she said. This is one of the greatest shows every created!!! Kevin, I can’t decide between a fat joke or a dumb joke boom roasted. Dude- I just can’t watch this show. (Too much like work! Uggh.) By the time I get home, at like midnight, I just can’t take anymore. on 05 Aug 2009 at 11:31 pm11 Stuff Accountants Like » Blog Archive » #45 Office Pranks, What are your favorites?